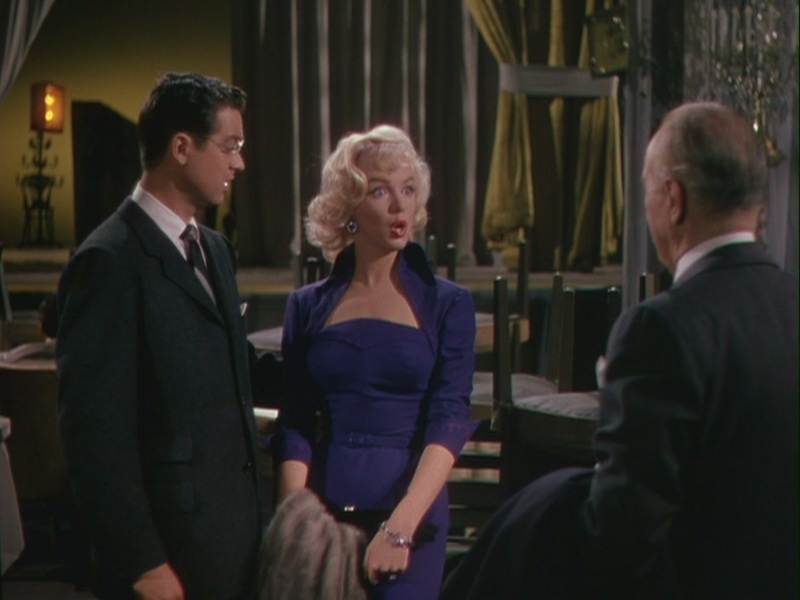 I was watching the end of Gentlemen Prefer Blondes last night and I just fell in love with this look from Marilyn. My version is no where as beautiful and classic, but I felt that mixing textures would eliminate the need for all the silk to match perfectly. This would also be a fantastic holiday party outfit.